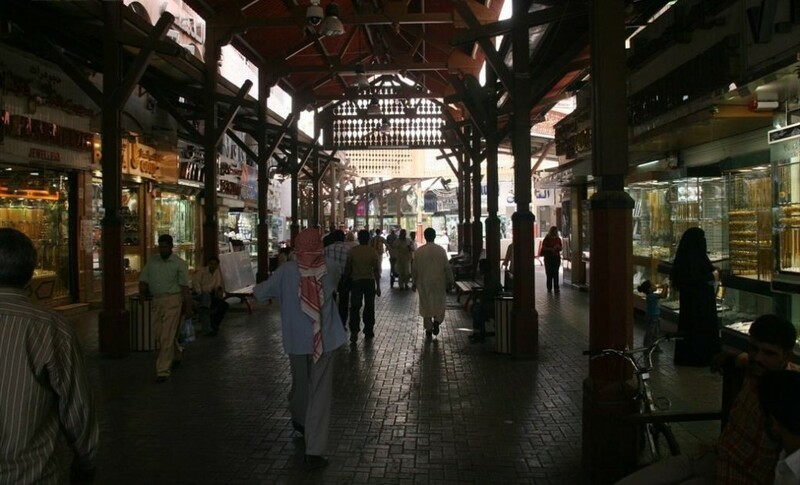 Dubai is world-renowned for its shopping, and there is no place better to experience this than in the city’s souks. In these traditional Arab marketplaces, many different types of items are bought and sold, including perfume, spices, and gold. Bustling with both modernity and tradition, they provide a perfect view of Dubai today, as well as the opportunity to try your hand at haggling. However, especially in these tourist centers, be careful to check for authenticity and avoid deals that seem too good to be true. If you’d like to soak in Dubai’s history, then a trip into the old city would be an excellent opportunity to view the city’s rich past. It is possible to travel by modern means, but wooden ferries are also available (very affordably) and provide a more personal experience. The wooden ferries are usually open and small, and offer gorgeous views over the water while you ride. The boats, known as abras, are more than a means to travel from point A to B. They’re a rich cultural attraction on their own. Dubai is a city recognized around the world for its extravagance, and there is no better representation of that than the Burj al Arab hotel, the most expensive in the world. Along with that title, the hotel boasts spectacular views of the city by day or night and a full range of amenities, including a world-class tea service. Spend your afternoon or evening enjoying the exquisite cuisine from the 27th floor while looking out over the Persian Gulf and surrounding islands. While this can be on the more upscale side for some travelers, it really is one experience completely unique to Dubai. A walking tour led by a local lets you see the city from an insider’s view and means you don’t get lost within the maze of streets. A tour can be arranged to meet your time constraints. For longer layovers, consider having a meal with a local family. Enjoying dinner at a family home is a great way to experience the traditional culture behind the modern skyscrapers and experience mouthwatering cuisine. Both a walking tour and a local dinner offer a new perspective of Dubai. Mall of the Emirates is a multi-level shopping center with more than 560 international brands, over 700 stores, and 11 anchor stores. 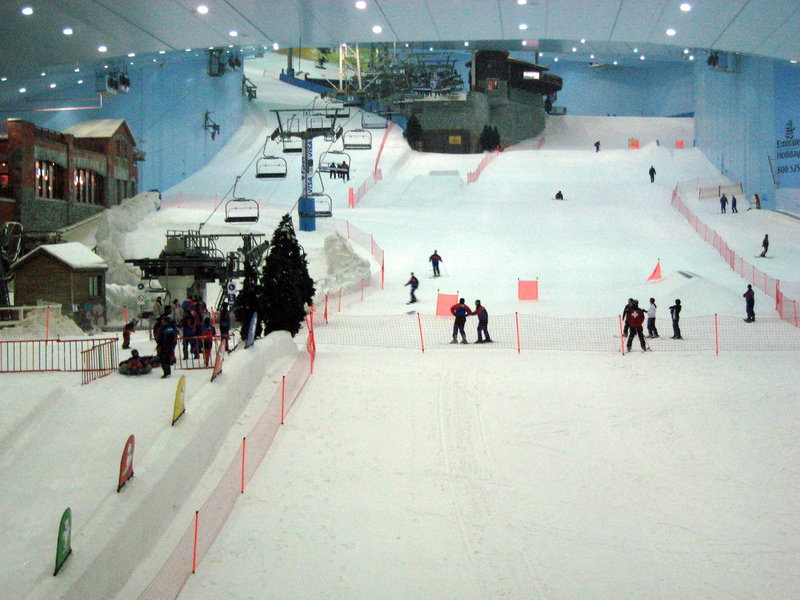 It features Ski Dubai – the Middle East’s first indoor ski resort and snow park, DUCTAC- the 500-seat capacity Dubai Community Theatre and Arts Centre and more than 90 international dining and cafes. The Dubai Mall equals about 50 international-sized soccer fields. Home to the most extensive collection of major fashion brands in the world, The Dubai Mall has 70 signature stores in the luxury Fashion Avenue. Anchors include France’s leading lifestyle retailer Galeries Lafayette, with America’s favorite Bloomingdale. With more than 1,200 stores and an impressive array of leisure pursuits and attractions, The Dubai Mall is a world-class destination and an unprecedented shopping experience. The Burj Khalifa skyscraper is a world-class destination and the centerpiece of Downtown Dubai, Dubai’s new urban masterpiece. The world’s tallest building is surrounded by hotels, must-visit shopping destinations and several entertainment options. Buy tickets to visit the top in advance so you have a set time to around which you can schedule your layover activities. Dubai is an oasis of culture and experience just waiting to be explored. No matter where you find yourself on a layover anywhere in the world, CIRE’s leisure and corporate travel planners can suggest and arrange things to do and places to go to make your time there memorable.